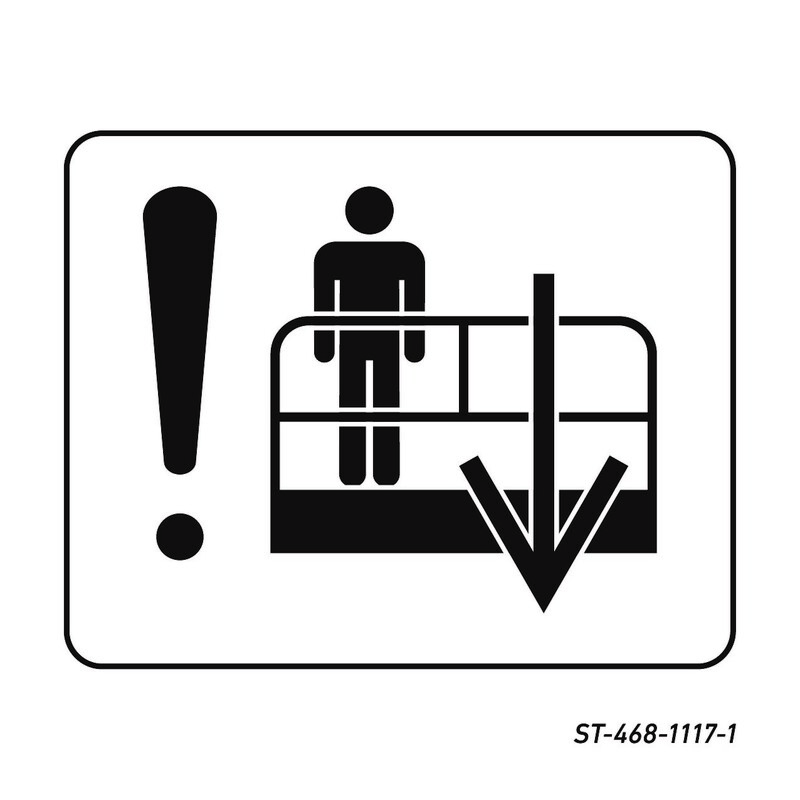 The International Powered Access Federation (IPAF) has confirmed it has updated one of its most widely used global safety stickers for use on Mobile Elevating Work Platforms (MEWPs) – launching a redesign of the sticker that is applied to machines to indicate where the auxiliary ground controls are located in case of emergency. 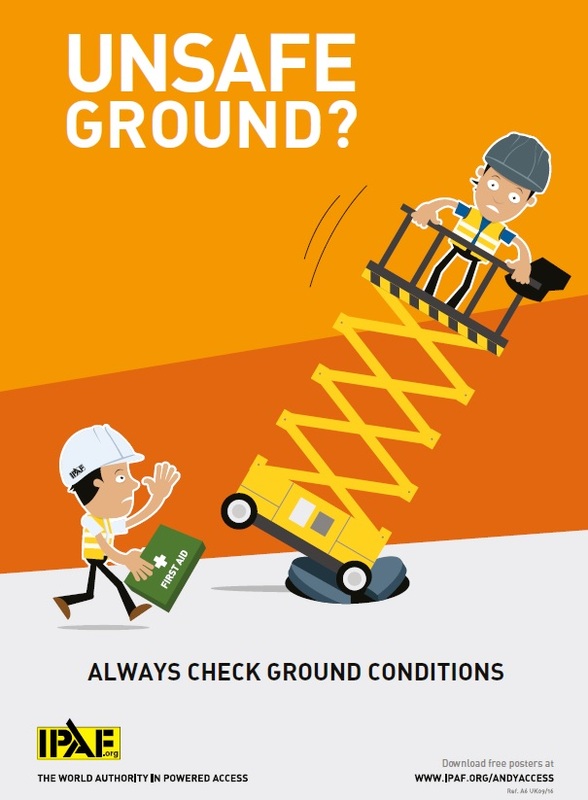 Andrew Delahunt, IPAF’s Technical & Safety Director, says: “The new design has been developed in consultation with IPAF members and safety experts to provide an easy-to-comprehend and clearly visible reminder to managers or supervisors of MEWP operations of where the lowering controls are in case of the operator in the platform becoming incapacitated. “The sticker has been subtly improved and continues to be aligned to international safety standards; we urge manufacturers, dealers, distributors, rental companies and owners of MEWP equipment to update the machines in their fleets with this updated sticker at their earliest convenience. “The sticker was initially developed by IPAF after our CEO Tim Whiteman observed an experienced supervisor had difficulty in finding the emergency lowering controls while carrying out a pre-use inspection. Despite the fact this particular operative had carried out thousands of inspections before, a temporary ‘blind spot’ meant he was forced to consult the owners’ manual in order to find the controls. 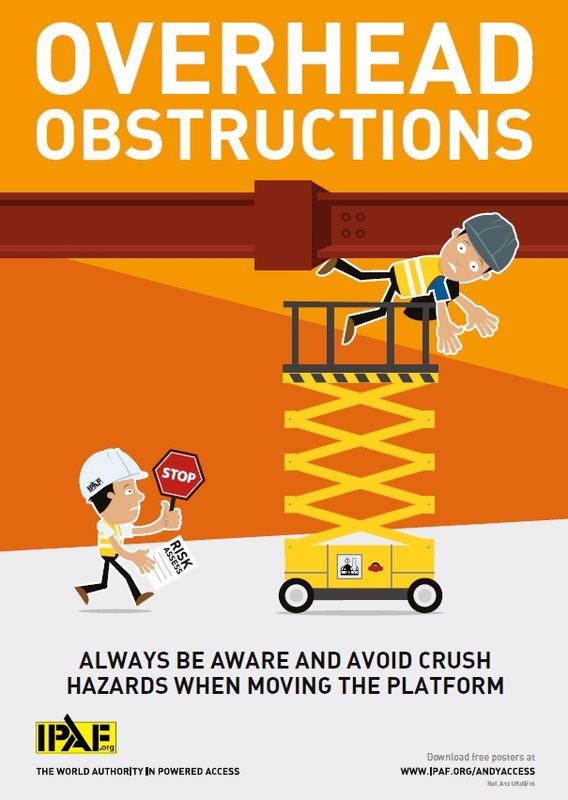 “Obviously, any such delay in a situation where a MEWP operator has become incapacitated – for instance in an entrapment incident – is extremely undesirable, so having clearly signed emergency controls labelled so a supervisor or colleague on the ground knows what to do and can step in quickly if the operator is in distress is vital. “Over the years, IPAF’s emergency lowering controls stickers have become widespread in our industry, and have no doubt been a useful aid in numerous situations where temporary work at height has gone wrong and posed a risk to operator safety. 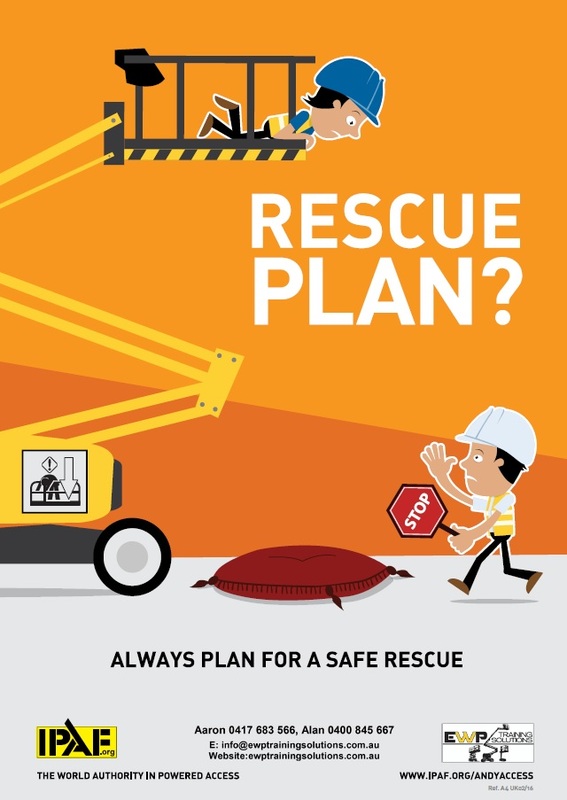 “IPAF always advises that a clear rescue plan is also in place when using MEWPs, and these will typically involve someone on the ground knowing what to do in case of emergency, and being properly familiarised as to where these auxiliary controls are located. on Monday, 11 June 2018. A Toolbox Talk on the use of personal fall protection equipment (PFPE) to reduce the risk of falling from a mobile elevating work platform (MEWP). 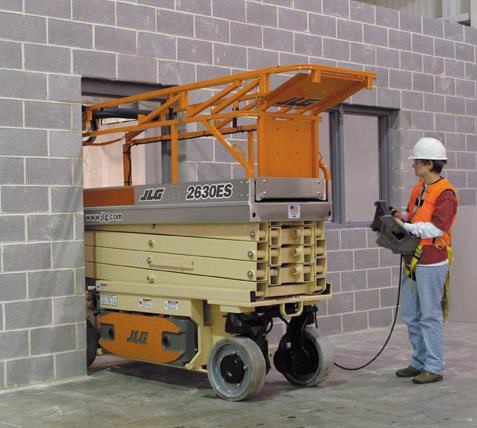 A Toolbox Talk on understanding a mobile elevating work platform (MEWP) rescue plan. Ever thought “what do I do if I’m stuck up in the air”? Or could I bring someone down if they were stuck in the air? It may be too late to find out when the emergency controls are needed – make sure you know how operate them beforehand! 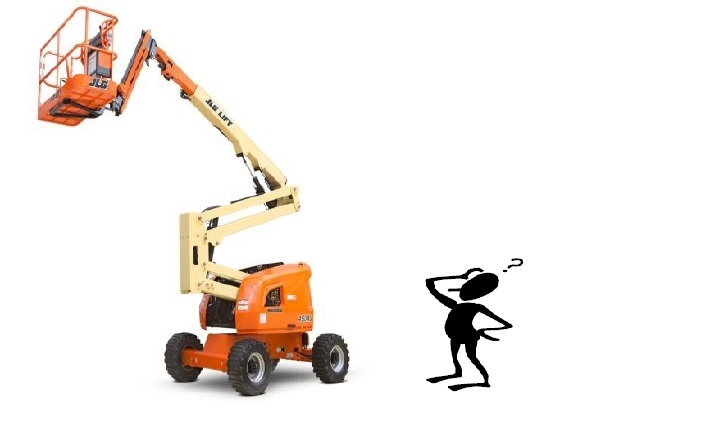 The EWPA has issued a “Walking with Scissor Lifts” guidance document. 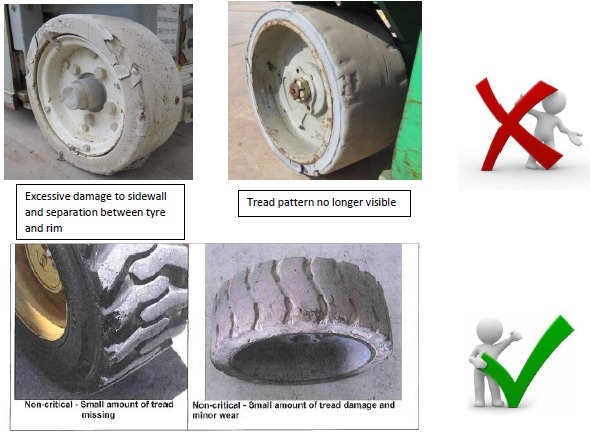 guidance highlights reasonable benchmarks for tyres on MEWPs. 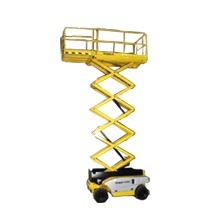 Mobile Elevating Work Platforms (MEWPs) can be subject to side forces. The predominant side forces are those arising from wind and manual forces (e.g. pushing or pulling). This guidance note outlines the factors that should be considered to reduce the effects of these factors to limits specified by the manufacturer. 1. Why was the minimum standard of training developed? The elevating work platform minimum standard of training was developed as a result of a recommendation by the Elevating Work Platform Working Group (a sub-committee of the Industrial Relations Consultative Council), which has representatives from the South Australian Government, unions, the building industry, training organisations and the EWP Association. The Elevating Work Platform Working Group was established in April 2016 following two deaths involving scissor lifts at the construction site of the new Royal Adelaide Hospital. The minimum standard of training was developed to clearly specify the expectations of SafeWork SA, South Australia’s work health and safety regulator, regarding the provision of elevating work platform (EWP) training by persons conducting a business or undertaking (PCBU) pursuant to section 19 of the Work Health and Safety Act 2012 (SA) (the WHS Act). 2. 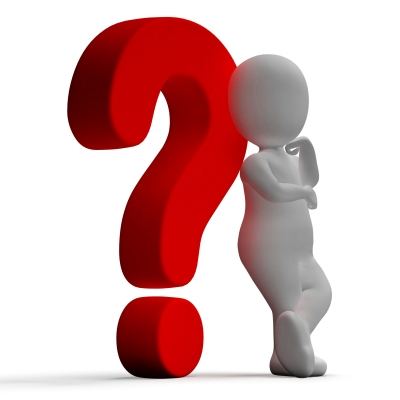 Is the minimum standard of training regulated, or is it guidance? The minimum standard of training sets out what SafeWork SA would expect an operator ought to know about the operation of an EWP. By asking questions based on the requirements set out in the minimum standard of training, SafeWork SA’s work health and safety (WHS) inspectors will measure whether the worker has been adequately trained to operate an EWP. If a WHS inspector forms a reasonable belief that the worker has not been adequately trained to operate an EWP, the inspector may issue a compliance notice for additional training to occur. Simple posters featuring the characters Andy Access and Hugh Hazard form the basis of this campaign. New posters will be released every few months. 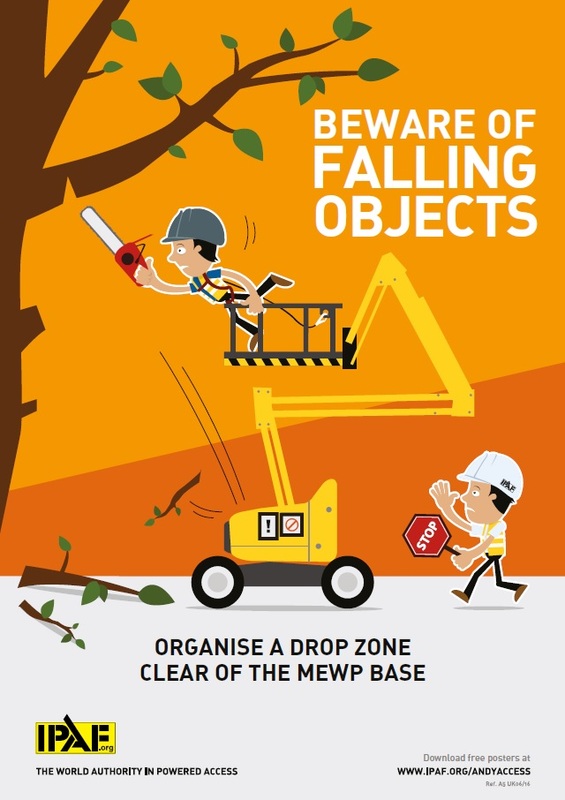 Each poster illustrates a specific safety message on how to use MEWPs correctly. 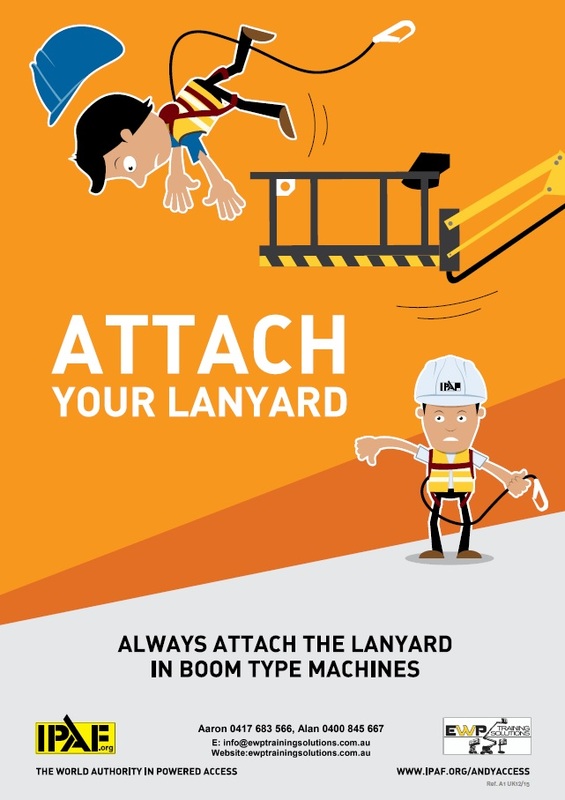 The Andy Access posters have originated as a means of communicating the valuable learning outcomes identified from the IPAF accident reporting project, and as a means of reinforcing the key messages covered in IPAF’s training programmes. 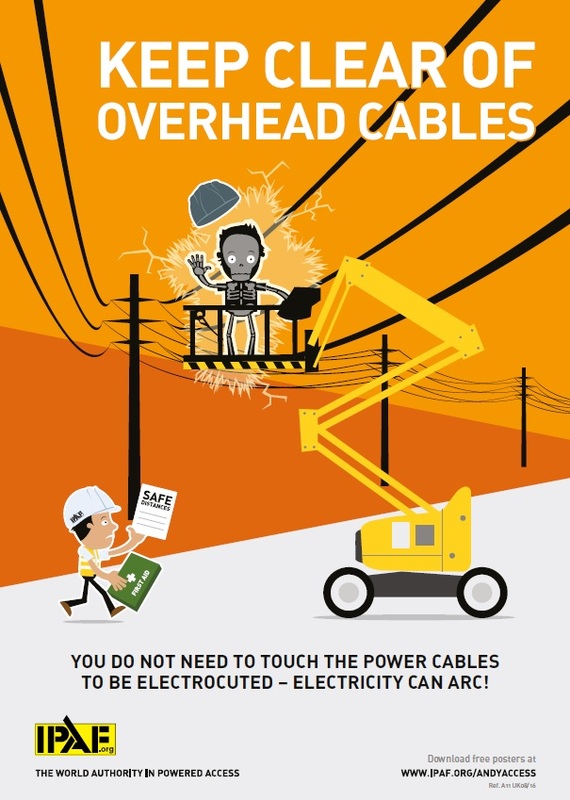 Keep clear of overhead cables. 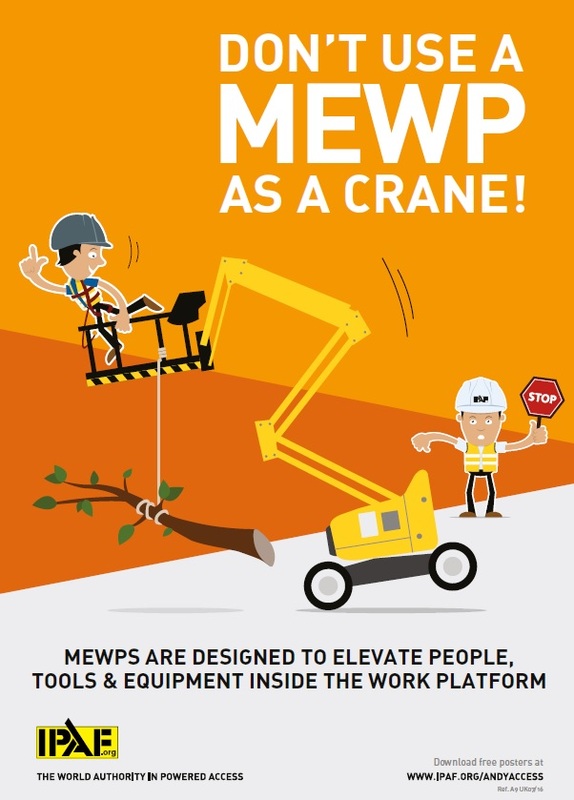 Don't use a MEWP as a crane. 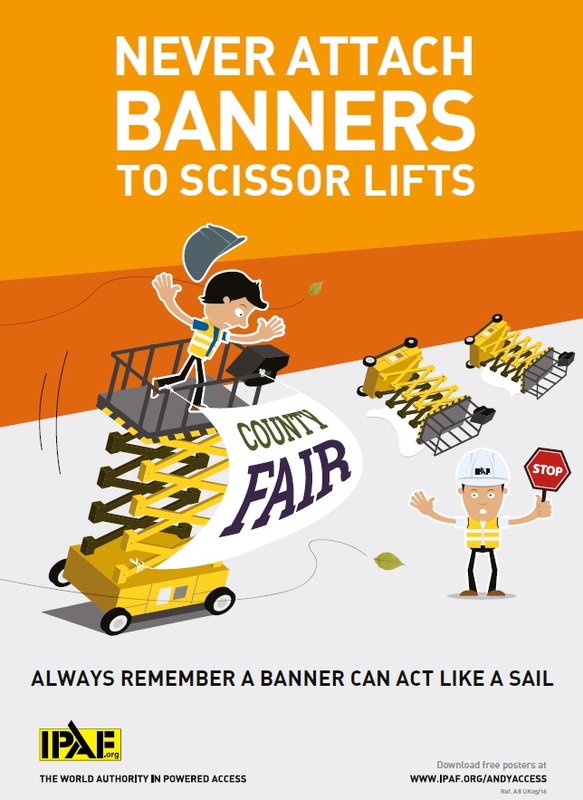 Never attach banners to scissor lifts. Click to veiw or download posters above. For all operators it is mandatory to conduct a pre-start inspection on the plant they are about to use. It goes without saying that this must be completed in order to determine that the MEWP is safe to use. IPAF have produced pre-start inspection training videos to ensure operators understand the process & their responsibilities. We encourage all duty holders & operators to view the videos. Please click on the links below to view. At EWP Training Solutions we are committed to the ultimate training experience for our trainees and their employers. 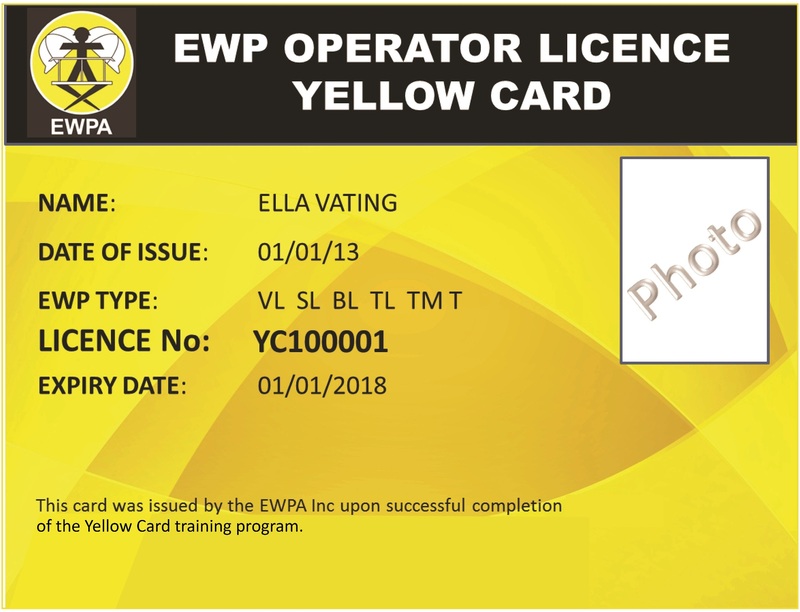 The EWPA offers two options to their Accredited Trainers when processing “Trained Operator Applications” at the completion of the Yellow Card course. From the inception of the Yellow Card and still to this day, hand written applications can be posted to the EWPA. While this system has served us well in the past there can be two issues under this process. The Accredited Trainer then emails the trainee’s photo to the EWPA. Eventually when the application and the photo arrive the Yellow Card is processed. 2. Applications can be processed electronically. Once the Accredited Trainer processes the applications at the end of the day the trainees receive an Interim Certificate to their emails address direct from the EWPA automatically. EWP Training Solutions prefer option 2, the electronic processing option. As a unique service to our valued customers EWPTS will also provide PDF copies of the Trainee Interim Certificate to the employer for their records giving them the ability to forward evidence of training to their clients. Note: The numbers can be verified by clicking on the link http://yellowcard.ewpa.com.au/yellowcard/verify and entering the operator YC number. 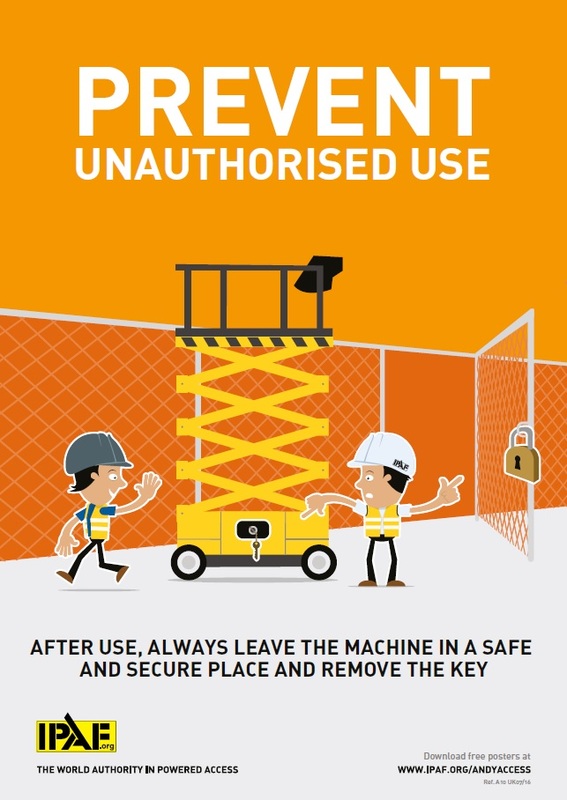 From information gathered from incidents & observations of trained operators working with EWP's on site it is quite obvious that pre-inspections are often overlooked or totally ignored by those using & operating EWPs. The importance of carrying out a Pre-inspection on all work equipment cannot be over emphasised. The manufacturers of EWPs list the Pre-inspections in the operators manual, which is supplied with the machine. 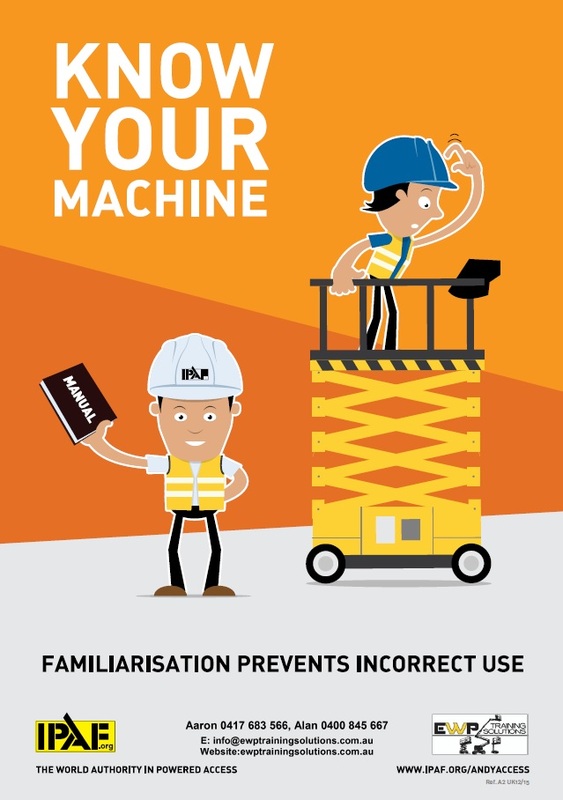 Operators who have undertaken recognised training courses have been trained to carry out Pre-inspections of their machines before each use which not only fulfils a legal requirement but is also a simple and effective safety measure that could prevent an accident. 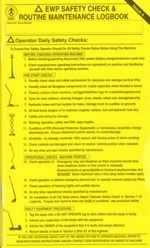 Checks should be carried out by the trained operator prior to operating the machine. 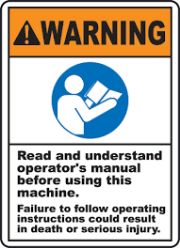 Refering to the operator's manual for the list of pre-inspection & function test of ground & platform controls. Checks should be recorded in the Logbook, signed, dated before any work starts. Any faults found should be reported to the owner of the equipment so that they can arrange for the necessary repairs to be carried out. 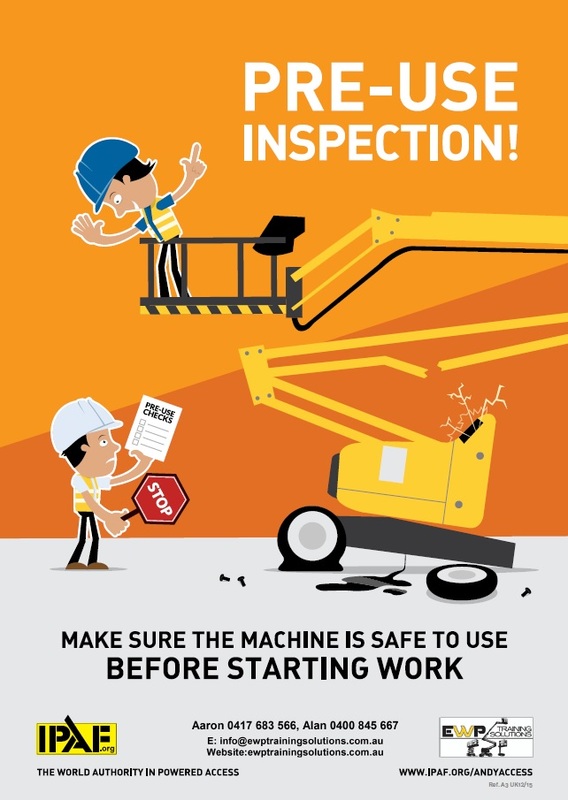 Pre-inspection's could prevent a serious or fatal injury happening in your workplace. Please ensure your operators are conducting a proper pre-inspection of the EWP as they have been trained to do. To kick off 2017 we’d like to discuss your company’s training and licensing needs. We would like to wish you & your family all the best over the Christmas & New Year's festive season. Both Alan & Aaron would like to thank you for the ongoing business you have shared with us throughout 2016 and look forward to working with you all in 2017. As always, we pride ourselves on customer service, and as such, we will remain available throughout the fesitve period.